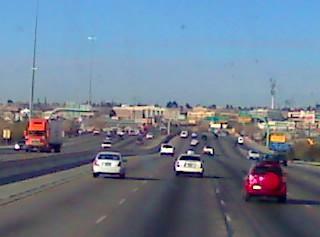 The band trucks made their way across New Mexico mid-day Tuesday, Dec. 28. 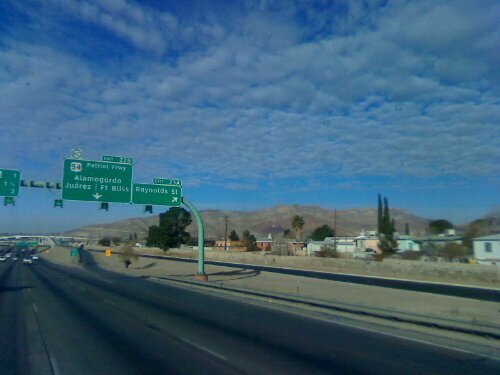 The band trucks started their third (and hopefully final) day on the road for transporting the band instruments, uniforms, equipment and luggage to California for the Rose Parade. They finally made it out of Texas, a stretch of more than 1,000 miles of highway, into New Mexico. Carol Ferguson, one of the volunteer drivers shared in a post comment that she actually earned her Class A license just to help her husband drive on this trip. Their children Hannah and Harlie are along for the ride. See them in some of the photos shared by Jimmy Crocker below. Learn more about the drivers and their journey, which began on snow-covered interstates, at the road report archive. 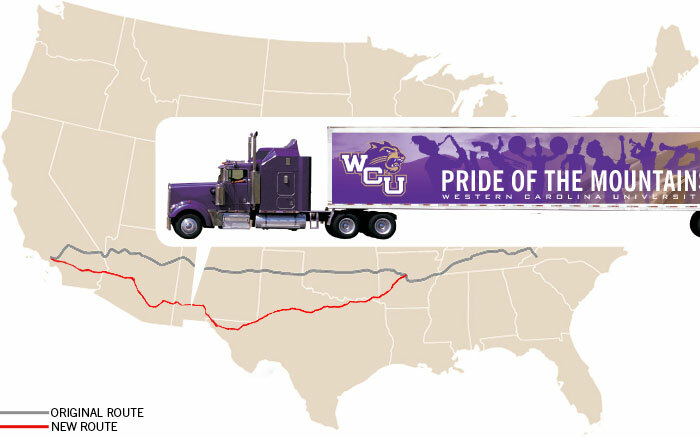 The band trucks keep moving west on Tuesday, Dec. 28. 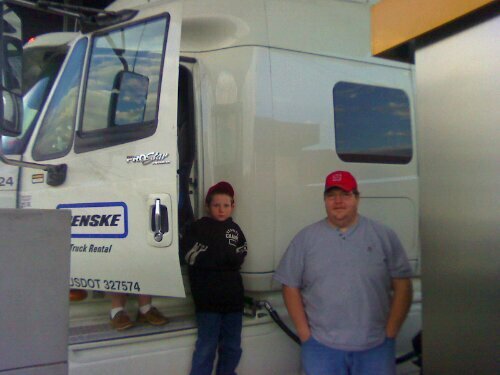 Volunteer truck driver Marion Ferguson (right) and his son Harlie are part of the crew driving band equipment west for the Tournament of Roses. 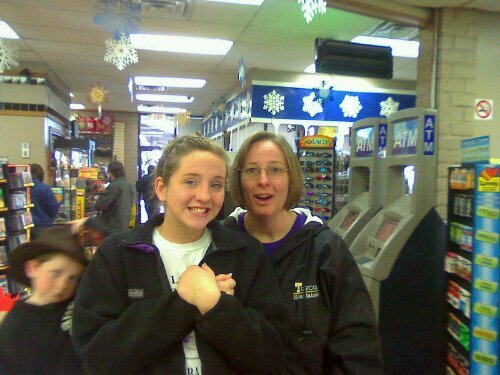 Carol Ferguson (right) and her daughter Hannah took a break at a truck stop. Carol Ferguson acquired a Class A license just to help drive the band trucks to California for the Tournament of Roses. 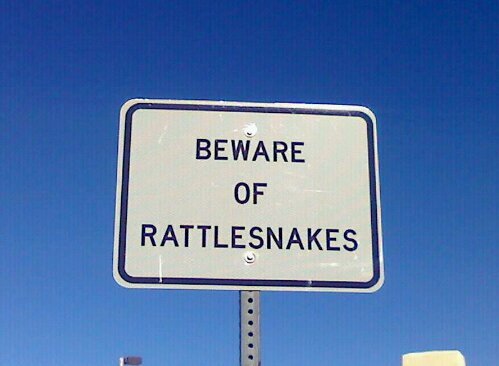 The drivers saw this sign at a rest stop in New Mexico. 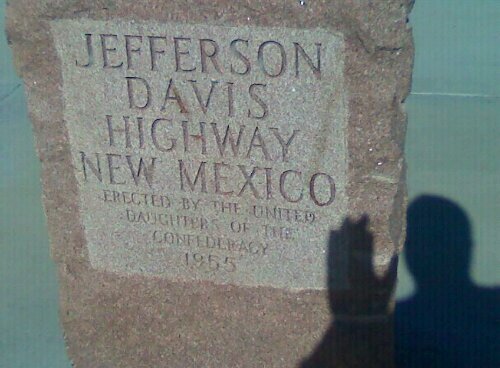 The drivers took a picture of a sign for the Jefferson Davis Highway. The trucks hit the highway Tuesday, Dec. 28. 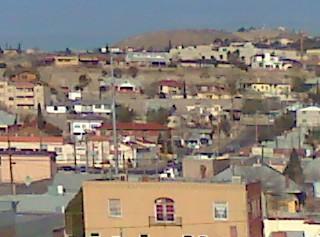 This was the view from the truck near the border.